The USD/JPY pair is falling towards 112.81. 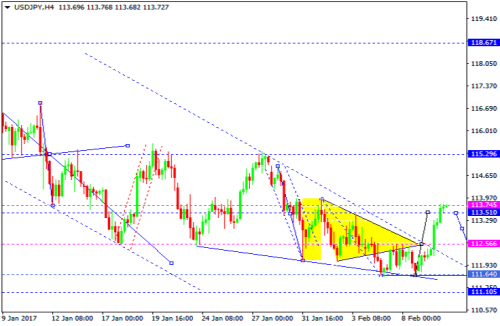 After reaching it, the instrument may move upwards with the target at 114.16 and form another consolidation range. If later the market breaks the range upwards, the market may continue growing and reach 115.30; if downwards – fall with the target at 112.00.